Last week we published our Winter Cocktail Quarterly. Hope that warmed the cockles of your besotted heart. But this week we’d like to take it a step further. Because it’s one thing to supply you with recipes, and another thing to supply you with a fully stocked home bar. Introducing Cocktail Courier, a just-launched service shipping complete cocktail kits — i.e., quality spirits and all the fixings — from Chicago’s finest mixologists straight to your door. Note: This ain’t your normal bottle-delivery service. This is everything you need to be a pro barkeep at home. Just add friendly imbibers. And should you need the hardware, CC’s got ya covered. Weekly or bi-weekly subscriptions get you a box featuring fresh ingredients, mixers and premium spirits to craft an exclusive concoction — recipes included. 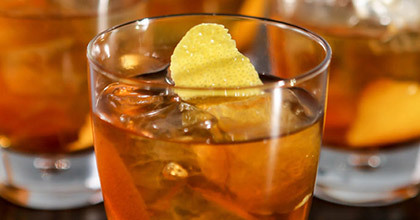 Like this Southern Style Old Fashioned courtesy of The Betty. Or the Pinup Sailor Daiquiri from Liz Pearce, head barkeep at the city’s newest buzzed-about underground speakeasy. Recipes and bartenders change monthly. We can’t think of a better excuse for a cocktail party. Nota bene: Because you’re an InsideHook regular, the gents at Cocktail Courier are offering you an exclusive $15 off your first box. Just enter INSIDEHOOKME at checkout. Enjoy.